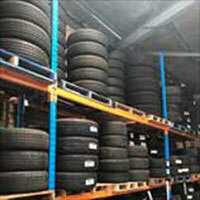 We are filled to capacity with excellent quality second hand tyres, all with near new tread. We have approximately 1000 second hand tyres to choose from - all sizes, all brands of tyres. We also have excellent condition second hand wheels in stock to compliment your second hand tyres. Enquire at the same time. Choose Fr 1000+ Used Tyres. Near New Second Hand Tyres.